After 18 months of sudden rule changes that left many carmakers scrambling, some of the industry's largest players are calling on the government to set clear, stable policies - or face the risk of delays to major investment. India is one of the world's fastest-growing car markets, and getting more companies to manufacture in India - both for its own market and for export - is critical for the Prime Minister Narendra Modi's government, which needs to create millions of new jobs each year as the workforce expands. Executives at automakers like Volkswagen, Hyundai Motor Co and Tata Motors say that to invest more and better, they need more stable regulation on tax, emissions allowances and electric vehicles. The latest setback came last week, when India's cabinet approved a move to increase the maximum levy on luxury cars and sport utility vehicles (SUVs) to as much as 25 percent - less than two months after deciding on a lower rate of 15 percent as part of the new nationwide goods and services tax. "The entire auto industry got hit by this surprise," said Guenter Butschek, managing director at Tata Motors, which owns the British luxury car brand Jaguar Land Rover. "I don't play with unlimited resources. We need a roadmap at a much earlier stage to make sure we allocate our resources in a proper way," said Butschek. He said the company is waiting for clarity on the electric vehicle's policy before it decides on any products and strategy. Other changes that have caught automakers by surprise include a temporary court ban on the sale of large diesel cars in New Delhi last year and a tax increase for hybrid cars from July, as the government focuses on electric vehicles. Hyundai, as a result, has dropped its plan to launch hybrid cars in India and will now look at bringing in electric cars. "Any policy that has to be made has to be predictive, continuous and consistent," said Rakesh Srivastava, the company's director of sales and marketing. Volkswagen said it was committed to India but also demanded a reliable framework to set its long-term strategy. "Frequent policy changes could pose a big hurdle for auto manufacturers to decide on their long-term strategies," said Dr Andreas Lauermann, managing director of Volkswagen India. "This is something that affected us in the past too." The changes are expected to dampen growth, analysts say. Consultant IHS Markit lowered its 2018 forecast for domestic car sales growth in India to 11 percent from 13 percent, and by 0.5-0.2 percentage points for subsequent years up to 2024. "There is too much volatility in the system," said Puneet Gupta, South Asia manager at IHS, adding that this could hurt Modi's "Make in India" campaign if automakers turn to more stable markets. Growth in car and SUV sales slowed to about 7 percent in the first four months of the current fiscal year that started on April 1 compared with 9 percent growth over the same period last year, industry data showed. 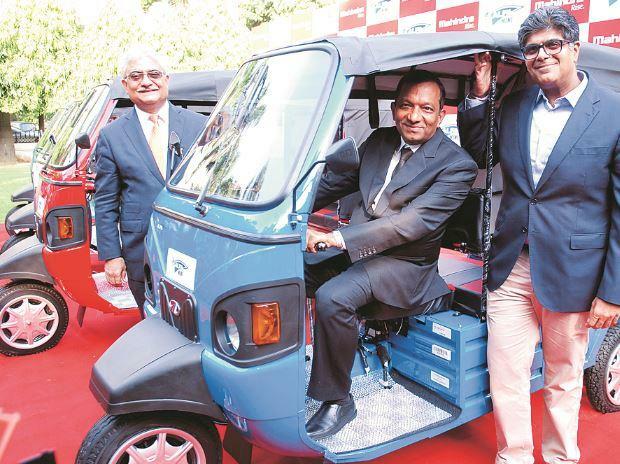 Despite this India is on track to become the world's third-largest car market by 2020, said Gupta.